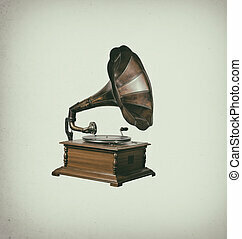 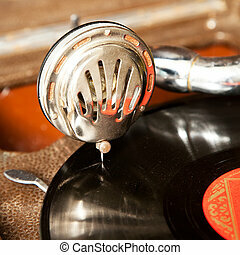 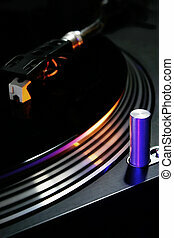 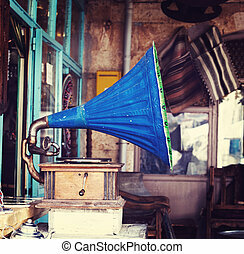 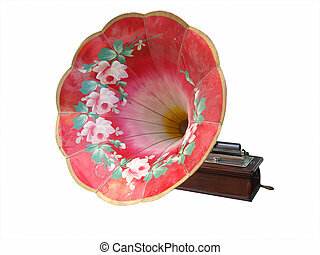 Gramophone. 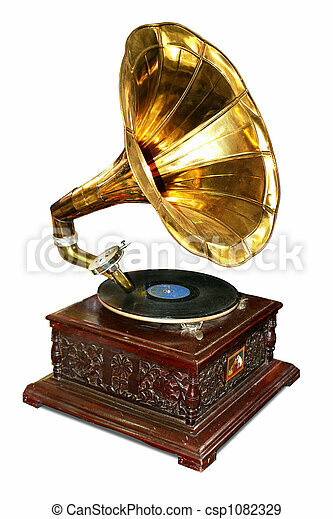 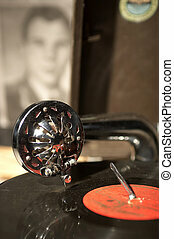 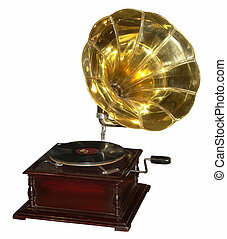 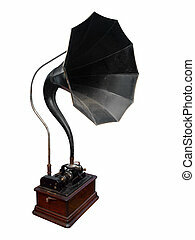 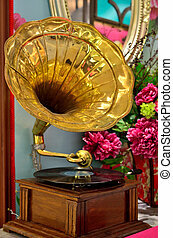 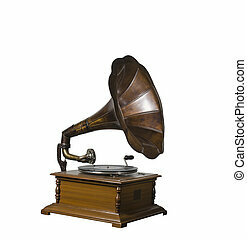 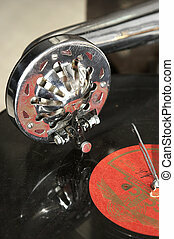 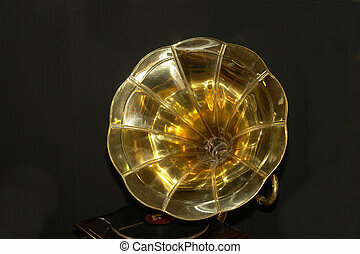 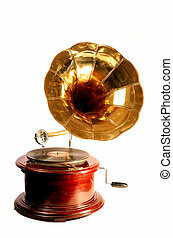 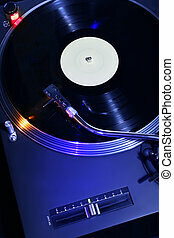 Old wooden gramophone with disc. 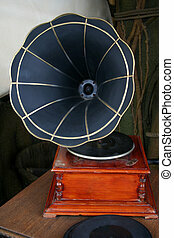 Old wooden gramophone with disc.